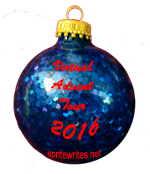 This post is a part of the Virtual Advent Tour, sponsored by Sprite Writes. Please visit her site to check out the list of other Christmas traditions from bloggers around the world. Have you ever experienced a time when you innocently started something rather simple that over time mushroomed into something much bigger than you ever envisioned? Such is the plight of Totoro Christmas stockings. See, I have a December birthday. I don’t mind it so much now, but as a child, I hated having my birthday so close to Christmas. I had to wait 355 days until I could open presents – and that seemed like an eternity. In my mind, if I could prolong Christmas, then the wait wouldn’t be unbearable. So when I had children, I made that wish a reality. To prolong the magic of Christmas just a wee bit, I would individually wrap each stocking gift in special “Santa” paper. The children would rush downstairs on Christmas morning to see what big gifts Santa brought – and then they would eagerly tear into the stockings. I’m not sure who had more fun – the children opening the presents, or me watching them enjoy the process. When I started this tradition, I thought it would last a few years – just long enough for the youngest child to stop believing. However, that did not happen. As the children grew, I noticed they would excitedly tell their friends of this tradition – and then become incredulous when they discovered this same Christmas magic did not happen in other homes. I decided to continue until they graduated high school. 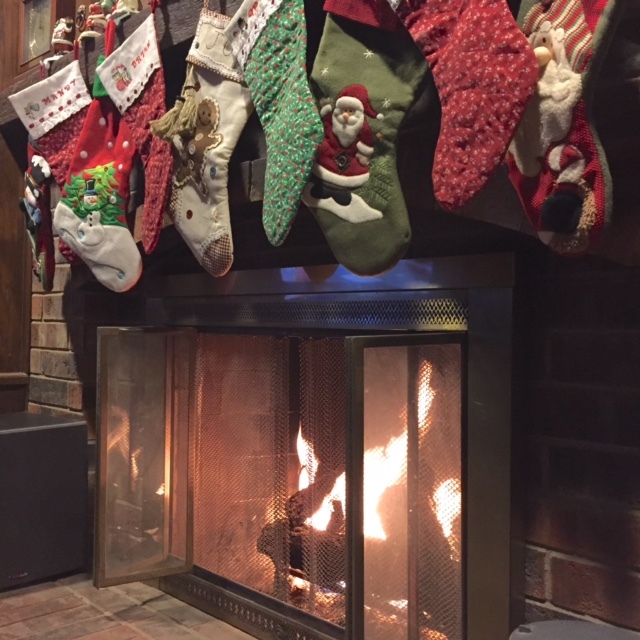 However… once they graduated, and met their significant others, I noticed they would proudly discuss our family’s Christmas traditions, and wrapped stocking gifts ranked high on the list. I remember one year the girls and I were shopping at Hobby Lobby and I inadvertently put the Santa paper in the cart. I was quickly told that was unacceptable. Santa paper cannot be seen before Christmas morning. I promptly put it back and returned another day. 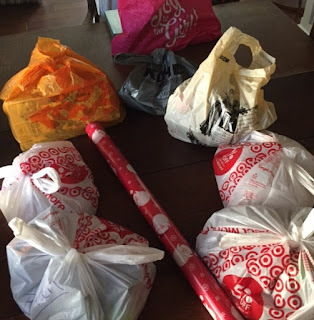 My husband and I used to wrap the stocking gifts on Christmas Eve night – after the kids had gone upstairs to bed. We would watch It’s a Wonderful Life, sip a glass of wine, and wrap like little elves. At this point, however, this simple holiday tradition has grown to include 8 stockings, with the certainty of more in the next couple of years. It takes several hours – spread over the course of 2-3 days – to wrap all the presents. It is indeed a labor of love. And while the children know the contents – toiletries, mani-pedi supplies, lip balm, candy, etc. – they are still excited to open the gifts, and I must confess, I still love that makes the holiday last just a little bit longer. What a great tradition! I always love seeing what is in my stocking, even as an adult. Oh, what a wonderful tradition! I love this tradition – and especially the Santa paper! May it live long and into many generations of Totoros!! That's a lovely tradition. Merry Christmas!